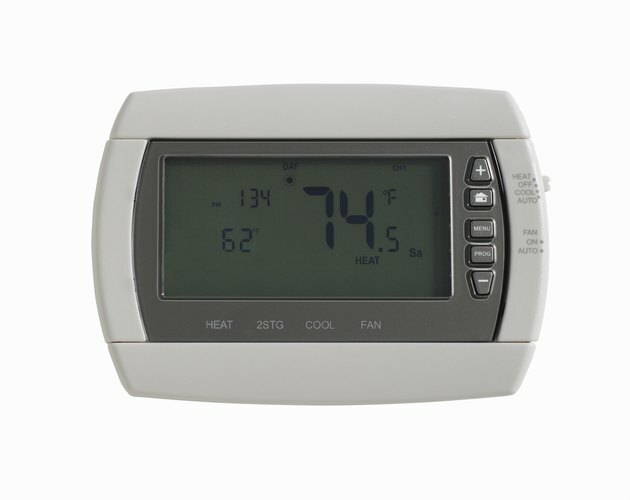 Most Honeywell thermostats contain a heat anticipator. This mechanism is designed to allow some overshoot of the desired room temperature but prevent dramatic overshooting. A modest amount of overshoot reduces wear and tear to pumps, compressors and motors by keeping the climate control system from cycling on and off too frequently when the temperature hovers around the set point. 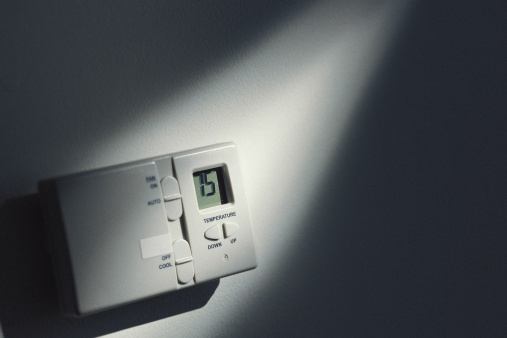 If you notice your system "hunting" or oscillating on and off when the room temperature reaches the thermostat's set point, you can correct this by adjusting the heat anticipator to increase burner time. If the room gets too hot, adjust to reduce burner time. Adjust the thermostat dial to the farthest point toward the left to check the system's heating operation. Set the thermostat's system switch to the right, or 'Heat,' setting if the unit is fitted with a sub base. Adjust the thermostat dial until the setting exceeds room temperature; the system should start blowing hot air. Adjust the dial to below original room temperature; the heating system should stop blowing hot air. Set the system switch to the left, or 'Cool,' setting if the unit is fitted with a sub base. Lower the thermostat dial to a point below room temperature; the air conditioner should start blowing cold air. Raise the setting to a point above room temperature; the air conditioner should turn off. Remove your Honeywell thermostat's cover. 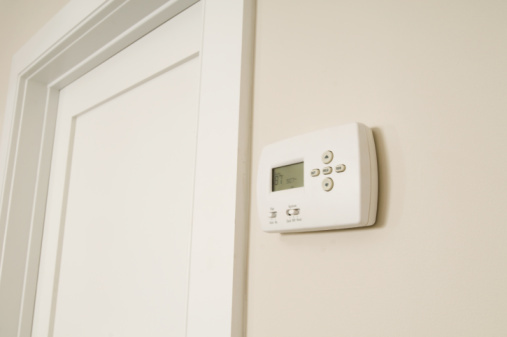 There are several types with an easy-to-remove clip-on cover; however, if you have a "Vision Pro" thermostat, press down on the hidden buttons on the top and bottom of the unit while pulling the cover away from the wall. Locate the adjustable heat anticipator pointer. Some models have a movable copper arm connected to a finely wound flattened coil projecting downward from a round springlike bimetal coil; this type has an arrow-shaped pointer on the end of the copper arm that is situated above a semicircular scale; the scale is graduated from left to right from 1.2 to 2.10. On other models, the finely wound flattened coil is covered by a flat knurled disk. This type also has an arrow-shaped pointer on the edge of the disk pointing to a similar graduated scale. Refer to your particular thermostat's instruction manual, if you have one, and use the tip of a wooden pencil to adjust the movable pointer. On models with a movable copper arm, insert the pencil tip into the triangular opening on the end of the arm. On models with a knurled disk, insert the pencil tip in the hole provided on the left of the pointer. Once you've done this, move the pointer to the recommended setting as shown in the instruction manual. If you do not have a manual, or if the above procedure does not resolve the problem, go to the next step. Increase burner time by moving the pointer to the next higher number on the scale. This makes the burner put out less heat and prevents the thermostat from turning the system off too early. This method should stop the system from frequently oscillating on and off when room temperature nears the thermostat's set point. Decrease burner time if the room gets too hot by moving the pointer to the next lower number on the scale. Make small adjustments at a time and allow five minutes for the system to settle down to see if the correction has the desired effect.